The Centre Picasso is a non-profit-making private organization that endeavours to pay homage to Picasso, maybe the greatest artist in the XXth Century, and also to show the tight bounds that were settled between himself and Horta. That is to say, the bounds in terms of an artistic and affective aspect which generated a singular work reflecting a deep estimation of Picasso towards Horta. 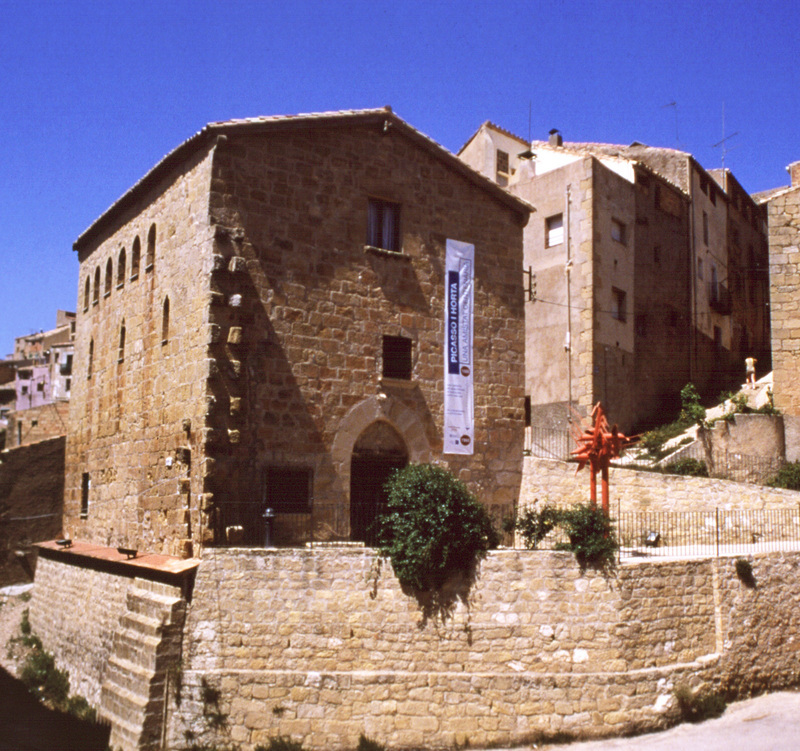 The building that houses the Centre Picasso is an old hospital, which is a Renaissance building built in 1580. This centre exhibits, on a permanent way, facsimile reproductions with the highest quality as nearer to the originals as it has been possible. Almost all the works exhibited here were produced during the two stays of the artist in the village. Some others were done in Barcelona and Paris but also evoke Horta. 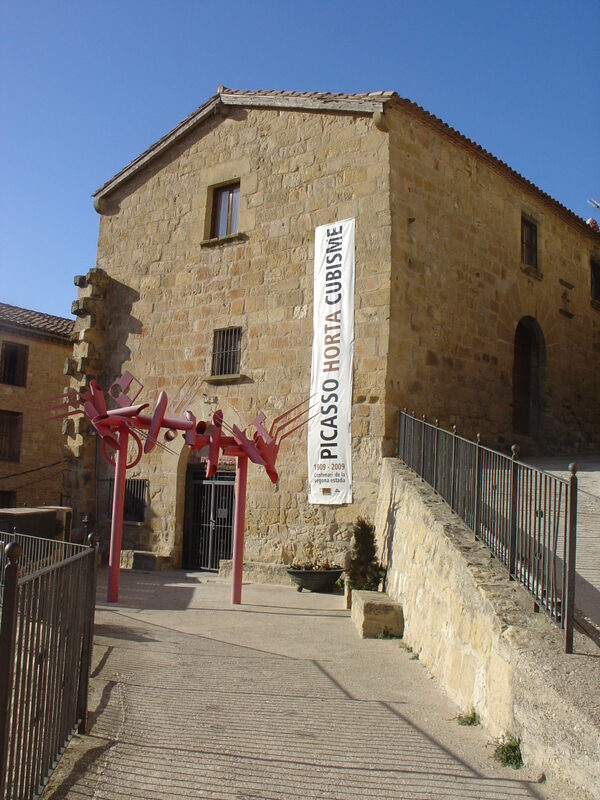 The Centre Picasso also offers the possibility to see together two paintings which correspond to important periods for Picasso’ s artistic evolution; That is, his first steps towards a personal-free style in 1898, and the beginnings of Cubism in 1909. The exhibition also counts in works which nowadays are spread in museums or private collections around the world. An outstanding part of Picasso’ s work in Horta are landscapes. At the Centre Picasso one can see the result of the interpretation Picasso did about his landscapes in Horta. We only need to go for a walk or look through the window to see the original ones, the same landscapes Picasso saw for the first time one hundred years ago. The building that houses the Centre Picasso is the old hospital, a renacentist building built in 1575 by the Town Hall in the outside of the wall. It was used to shelter ill poor people and passers-by. Inside the building, in the first floor, there was a chapel devoted to La Virgen de los desamparados. In 1837, during the Carlist Wars, the hospital was burnt and later restored. Until 1985 it was the quarter of the civil guard. After its total restoration, it was opened to the public in 1992 as the Centre Picasso.